When you need to make changes to your San Jose home, you have many options in remodeling or renovations to choose from. When you work with San Jose remodeling service like our company at Mills Custom Homes, you have full services from start to finish. With remodeling, we change things like walls, layout, electric, plumbing, and more to give you a new or different space to live in. 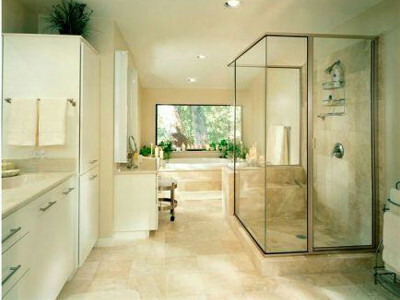 Remodeling you San Jose home is a great way to change around your home's functional space. Popular remodeling projects include removing walls between the kitchen and living areas, expanding by room additions, taking from one room to add to another, and more. For renovations, we restore your fixtures, finishes, and other building materials like flooring to make it new again. The aesthetic qualities of the space will be changed, such as repainting, replacing windows and doors or siding and roofs, restoring or replacing woodwork, and restoring or changing your design style. If you're needing a better kitchen area to serve your functional needs better as you cook meals and use the space with family, we have many options for you in remodeling. Remodeling involves moving around walls and making the space fit your needs. We can make any changes you're looking for in your San Jose kitchen space. Whether you need to borrow some of the extra space from the garage or dining area or need to get rid of a wall between the kitchen and living room, our Remodeling Contractors can handle a complete remodel for you or just a few small changes. If your home's bathroom or master bathroom is leaving you feeling uncomfortable every time you see it or have to spend time in it, there's no better reason to change it and get rid of that discomfort that constantly annoys you. Whether you're just sick of the design or your old bathroom boasts peeling paint, missing caulk, missing tiles, or old and roughed up surfaces on fixtures and rusted plumbing, there's no time like the present to get some changes rolling. Your new bathroom space is just waiting for you and we promise, -it will be beautiful! Adding on to your home can be a little stressful when you're thinking about it, which is why many homeowners tend to put it off. With Mills Custom Homes, you won't have anything to worry about throughout the process. We take care of your room addition project from start to finish, giving you the most in services possible. If you are looking for a San Jose remodeling contractor, call Mills Custom Homes at 408-836-6767, or fill out our online request form.